Waste management companies that turn into “service providers of across the whole of the waste hierarchy” have the best future in a circular economy, European environment commissioner Janez Potocnik has said. The commissioner (left) warned against the UK building incineration overcapacity and recommended a move towards a circular economy “where waste becomes a resource” in a video address at the RWM Exhibition 2013. In June, the commissioner called for a ‘new environmentalism’: “The transition to resource efficiency and a circular economic model is inevitable, particularly for Europe.” MRW recently reported that some waste managment companies had begun the transition towards being “material managers”, and part of the circular economy. The commissioner’s remarks echo the sentiments of industry trade body Environmental Services Association (ESA)’s report on the circular economy, published in June. Potocnik highlighted that overcapacity in other member states had made incinerators into assets that drag down the financial performance of the companies that own them. ESA said last month that it rejected predictions of overcapacity in the UK, saying there was not enough evidence to prove these claims. Consultancy Eunomia warned the UK would reach overcapacity in 2017 or 2018 in its latest residual capacity report. ESA cited other consultancies such as Ricardo-AEA, which said the UK would not suffer overcapacity as a result of supply and demand. Despite Potocnik’s concerns about overcapacity, the commissioner said the waste management and recycling industry in the UK has a “bright future”, because recycling and composting is increasing, and there is an opportunity to reduce waste to landfill, which he said remains high at around 50%. “There are big opportunities here if the UK were to achieve the objectives of Resource Efficiency Roadmap. We estimate this could create 85,000 jobs and increase the annual turnover of the waste management sector by 10bn Euros (£8.4bn) [by 2020],” he said. The Resource Efficiency Roadmap, published in 2011, set objectives to cut the total amount of waste generated by 2020, to maximize recycling and reuse, to eliminate the incineration of recyclable materials and to phase out landfill. 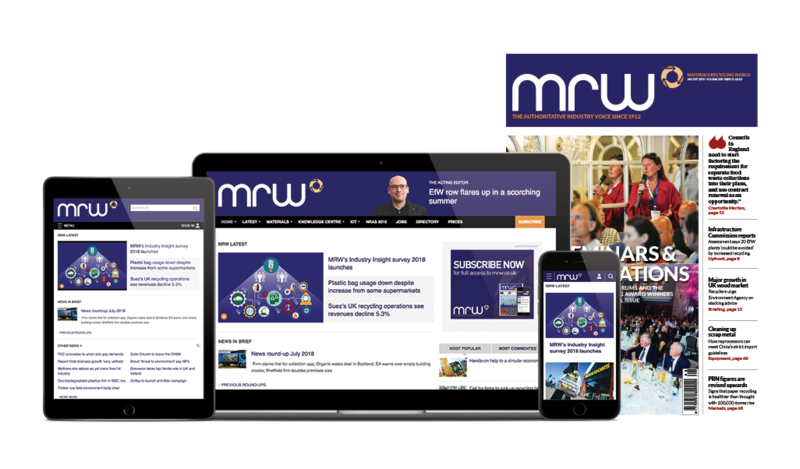 The EU waste targets consultation ended on 10 Sept. Read MRW’s story on industry reactions to the consultation.